This rune stone is standing next to road 263 that runs eastwards from Enköping. 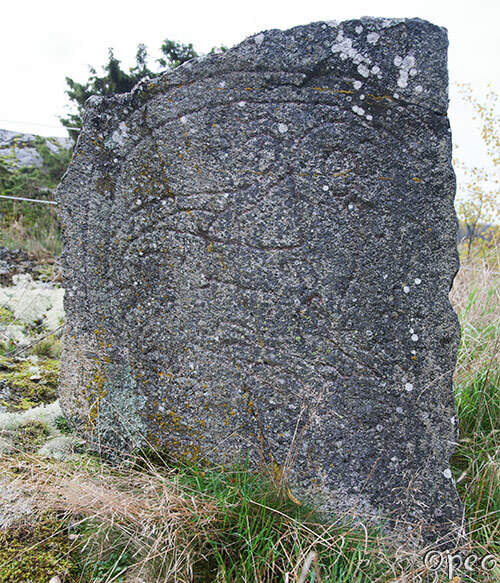 It contains some kind of an animal and just a few runes. Was it an unfinished failure ?